Even if you're not a big horror fan or even a keen reader, you probably familiar with Stephen King, unless you live in a cave, in another planet, in a different dimension. Stephen King has had the sort of career that makes most aspiring writers weep. To date he has written and published more than 50( yes 50!) books, ALL of them have been WORLDWIDE bestsellers. If that doesn't make you slightly jealous as a aspiring author, many of these has also been made into incredibly successful films. It's enough to make me weep, but he's not a bad guy. What really strikes me about this book was his touching motivation to write this. Of course he's been paid to do it, but I think it's really generous and kind hearted to write about the craft of writing. I can't think of any other hugely successful writer that has done this. With so many 'how to write' books out there, ask yourself this; how many have been written by a multiple best selling author? Whatever you may feel about his books, he knows how to write. This book does not fail to deliver, this book is full of surprising tips and insights. I guarantee that if you read this book you will experience many light bulb moments when suddenly everything makes sense. He also explains how he dealt with rejection, that every writer has to deal with rejection. Even when you're Stephen King. He teaches you through his biography that it's not just talent that a writer requires but also unflinching uncompromising determination. 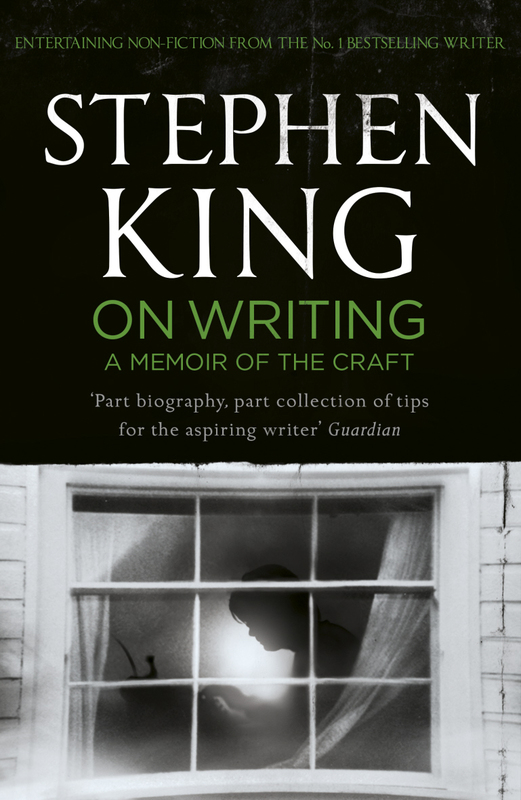 Whilst reading I had a few light bulb moments of my own when I realised there were things that me and Mr Stephen King have in common, such as the experience where suddenly two ideas join and become one amazing idea. This can only be a good sign right? He is able to put into words the things I love about writing, particularly his concept of 'thinking above the curve' and explains why your characters sometimes play up like rebellious teenagers and do their own thing, with or without your permission. 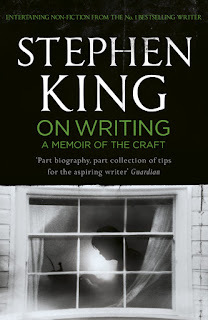 Stephen King also acts as a personal trainer for the serious aspiring writer. Please note this book is only intended for those who are very committed to writing. He proposes a time table of how often you need to work out by reading and how often you need to be writing. Don't be a timid writer, be fierce. Be fierce with your determination, your writing style and your willingness to improve. Writing is like learning to play an instrument, practise, practise, practise! No one can teach you how to write, you teach yourself to write. So if you want to take your writing further, you should probably read this book.